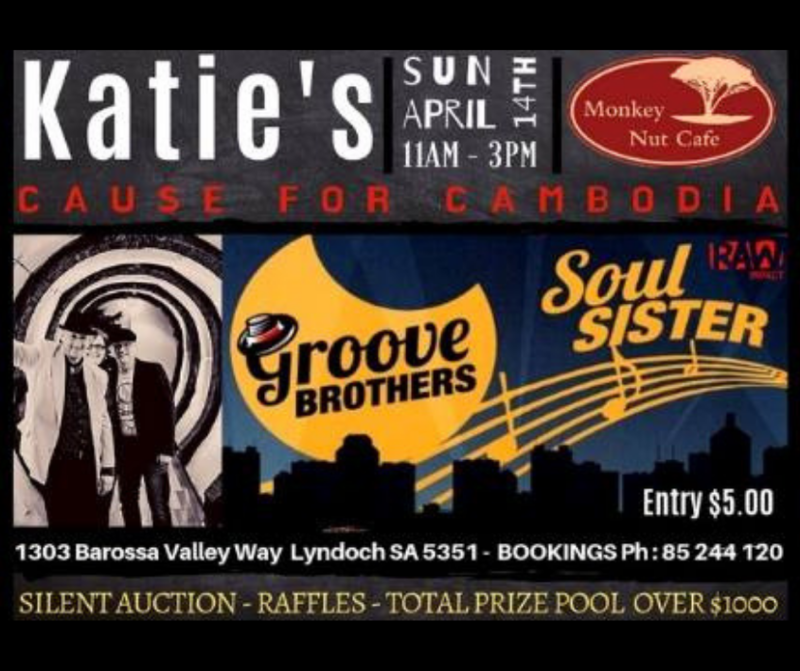 We can’t wait to chill out on the lawn to the 60’s – 90’s sounds of Adelaide band GROOVE BROTHERS & SOUL SISTER all while doing a good deed…that’s right, we are raising money again for ‘Katie’s Cause for Cambodia’. All event proceeds from the afternoon will go straight into Katie’s Cambodia Kitty! There will be some amazing raffle prizes to be won not to mention the silent auction that will be held. so make sure you bring some change/notes with you!!  The Cafe and Cellar Door will be open all day to make sure you don’t go hungry or thirsty…be sure to check out our new menu! 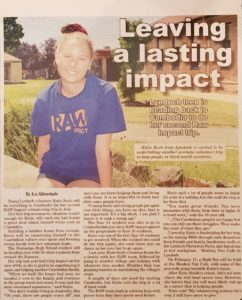 To read the amazing Katie’s story see the image below, or click here.